What is close to the title ('depression') in your mind, the above one or the below one ? 'Neither' is a perfect answer too! Ganesh I think the second pic is closer to the title.... ..thanks for sharing. @Ganesh - why do you feel it symbolises Depression ? Why not "a long wait" or "hope" or even "life as an illusion"
Also irrespective of the title, i would go with the second image with what i get to feel when i see the image. Ganesh .......to me the 1st one works better. The second looks a bit brighter to me. tones in B&W conversion to strengthen my perception. It is clear to me now that all these are very subjective.. Thank you all for your thoughts ! i feel, none is much closer to the word. that previous post has a perfect gesture to play around the word. Could not get the feeling of depression out of this. 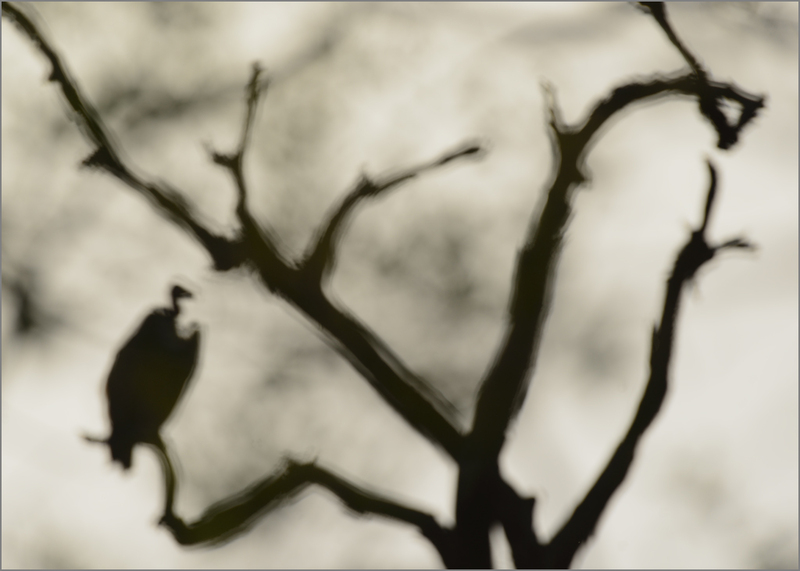 Irrespective of the title, love the way the out of focus branches and overall frame compose around the vulture. Its more like "disappearing" than "depression" to me. Also, loved the cooler B&W tones. Somehow, could not get the same feeling from the warmer sepia from the image. Tonality for that matters so much to the image and mood it conveys... a good lesson here. To the image title, 2 one goes well for me. But i liked the first one a bit more. Any reason for not adding noise master?